George Romanis (his real name was George Zackery Roumanis) was born in Trenton, New Jersey, on February 11, 1929. He began playing bass professionally at the end of the 1940s with dance bands. He rendered his fine rhythmic assistance to Charlie Spivak, Ralph Flanagan and Ralph Marterie among others. However he would not become active in the jazz field until 1954, when he joined the Johnny Smith Quartet, both as a bassist and, on many occasions, the arranger. During the course of his career he also wrote charts for such illustrious bands as those of Benny Goodman, Count Basie, Stan Kenton, Woody Herman and Sal Salvador. At age 30, George formed his own Commercial Production Company for Madison Avenue agencies in New York City. He composed, arranged and produced numerous well-known commercials (jingles) featuring Louis Armstrong, Peggy Lee, Stan Getz, Eartha Kitt, Bobby Vinton, Buddy Greco, Vic Damone and more. When George turned 36, he took a giant leap of faith, moving cross country from New York to Hollywood, California, and quickly established himself as a major television and motion picture force, landing notable TV series such as Hawaii Five-O, Streets of San Francisco, Twilight Zone, Star Trek: The Next Generation, Barnaby Jones, Air Wolf and so many others. George’s motion picture credits include “Hollywood: The Dream Factory” which featured notable screen legends from MGM Studios, “Of Mice and Men,” “Joe Dancer,” “Helltown” (starring Robert Blake), “Eight on the Lam” (starring Bob Hope), “Oxford Blues” (starring Rob Lowe & Ally Sheedy), and “Kentucky Woman” (starring Cheryl Ladd) to name just a few. 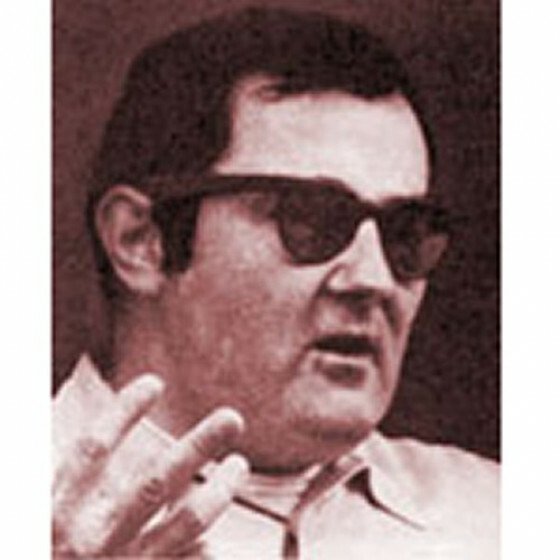 At age 40, while writing for Hollywood, George started studying music with “12 Tone Row” pioneer George Tremblay. During the next 19 years, Romanis developed new harmonic techniques, classical forms and structures, and delved into the operatic world, sketching out his opera Ode to Phaedra, concertos and tone poems. At age 59, George relocated to Half Moon Bay, California, 20 miles south of San Francisco, and has been devoting his time to writing serious compositions and working on commissioned pieces for jazz and military orchestras. As a leader, in 1959 he recorded "Modern Sketches in Jazz," a big band album dedicated to four of America’s great composers. For this first project, he put together an orchestra with three trumpets, two trombones and a tuba, plus two reeds and a rhythm section featuring percussionists who doubled on several instruments. Before writing a single note, Romanis had studied the lyrics of all of the songs he wanted to record; his intent was to capture, instrumentally, their basic “message.” The resulting music is best described as impressionistic. 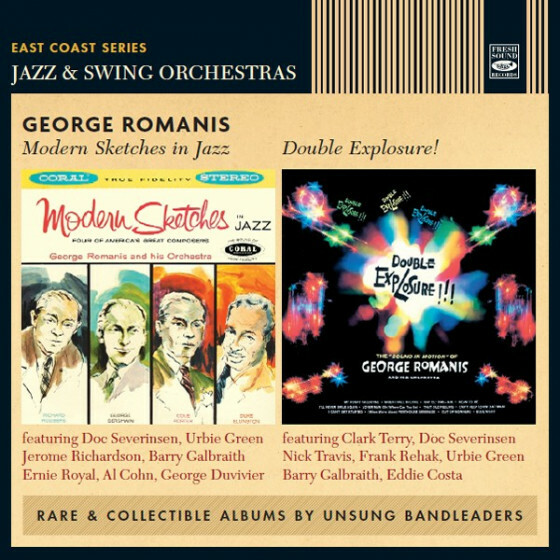 For his second album, "Double Explosure!," Romanis returned with another first-class big band. It was a punching, vital and swinging organization comprised of top-flight East Coast jazz players. The leader’s arrangements are all humor-filled crowd-pleasers, bound to delight anyone who loves the sound of a big band.